It’s the perfect complement to your new MacBook Pro. Apple’s new MacBook Pro comes with Thunderbolt 3 ports, which are shaped like (and work with) USB-C. Previous versions of Thunderbolt that were included in the old MacBook Pro used a different port. So how do you connect your old Thunderbolt devices to the new Thunderbolt 3 port? With an adapter, of course. And Apple has one for you. It’s the Thunderbolt 3 (USB-C) to Thunderbolt 2 Adapter, and it’s not included with the new laptop—it’ll set you back $49. But for that $49, you’ll be able to continue using that older Thunderbolt RAID array or Apple Thunderbolt Display. 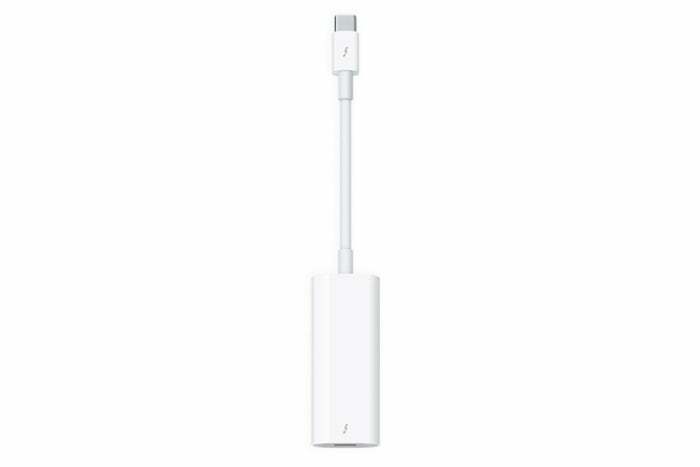 The adapter is also a bi-directional device, so you can use it to connect Thunderbolt 3 devices to a Mac with an old Thunderbolt port.